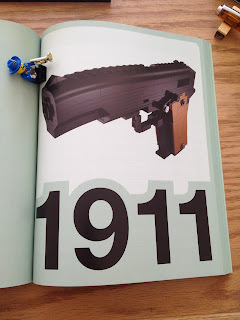 Built from Ink and Tea: A Review of The BrickGun Book! Here it is, folks! As promised, a review of another great offering from No Starch Press! You may recall me hinting, earlier this month, at new content to come on Built from Ink and Tea that would include such a review, and here we have it. 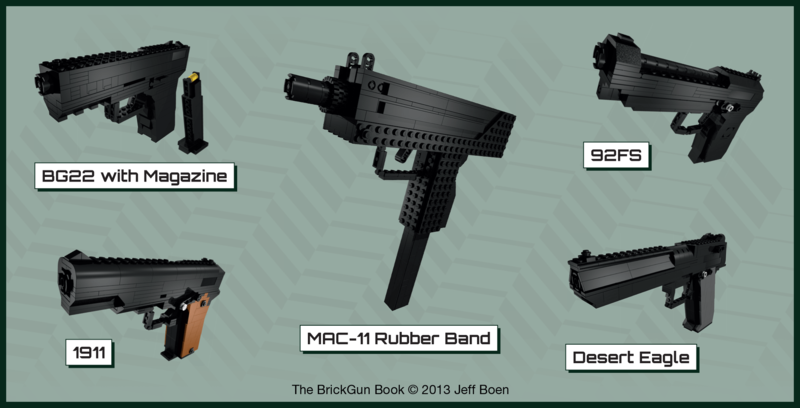 Released in May of this year, The BrickGun Book by Jeff Boen takes a close and hands-on look at a genre of Lego modeling that is definitely not geared toward the typical young Lego audience. As the book warns, these models are not suitable for children under the age of twelve. 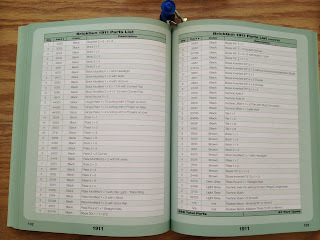 That said, let us take a closer look at the book itself! The author, Jeff Boen, begins with a short history of how he came to build model guns from Lego, which provides a nice background and lead-in to the instructions themselves (which comprise most of the book). Included in The BrickGun Book are instructions for building the BG22, 92FS, Desert Eagle, 1911, and Mac-11. A couple of these models have special additions. The BG22 has a removable magazine (complete with visible Lego bullet! ), and the Mac-11 can launch rubber bands. That one of the models actually fired something impressed me, greatly. However, the other models are by no means just static creations. The BG22 has a movable slide, switchable safety catch, and working trigger. The 92FS, Desert Eagle, and 1911 include all of these features, plus a moving hammer that can be cocked. Not only does the Mac-11 fire rubber bands, the instructions seem to suggest that up to five rubber bands may be loaded at once. After going through the book, the pictures of the 1911 model impressed me the most, complete with the look of the wooden laminate grip. The build itself took some time, but everything was very well explained. Next, I think it would be very cool to try one of these models in some other unique color - dark green, perhaps, or a bright red - just for fun. The instructions themselves are incredibly clear. In some instances, I felt myself wishing that the instructions in Lego's booklets were as easy to follow. Mostly, I could see this affecting a younger or newer group of Lego builders, whose experience, with the various pieces and how they fit together, was perhaps not as advanced. 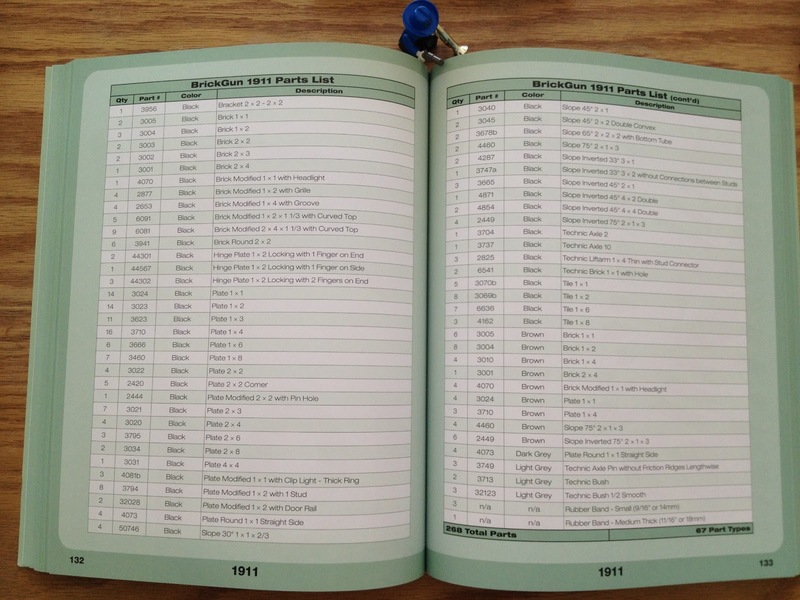 Of particular note is a section in the front of the book, describing how the instructions are laid out and how best to read them. Preceding each section of instructions, a parts list provides quantities, suggested colors, descriptions, and even the official Lego part number for each piece that will be needed in the model. 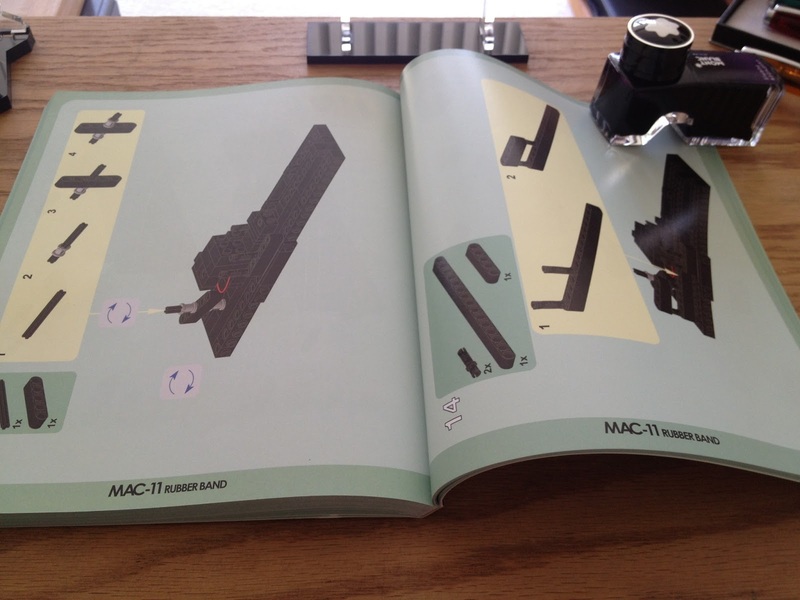 This alone takes the instructions to a higher level of technicality than Lego's own manuals - a necessity when you are dealing with parts that do not come prepackaged together. For myself, it allowed me to fully prepare for building, being assured that I was not going to be scrambling to find an essential piece, after beginning. Lego enthusiast? Handgun enthusiast? Realistic model enthusiast? Check out this book. It is definitely worth your time. 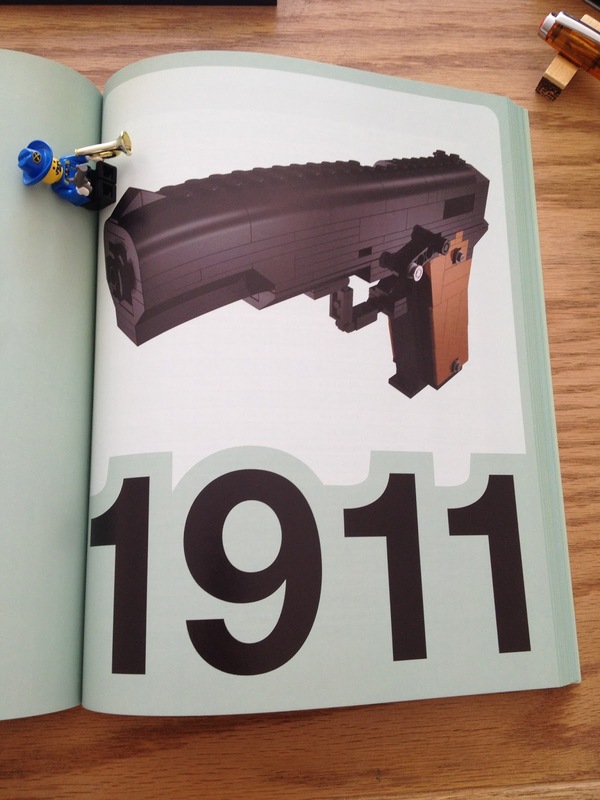 If bigger guns are more your thing, be sure to check out LEGO Heavy Weapons, also available from No Starch Press. 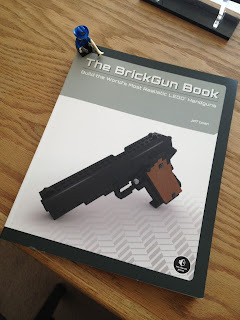 The BrickGun Book, by Jeff Boen, is available directly from No Starch Press and Amazon.com. 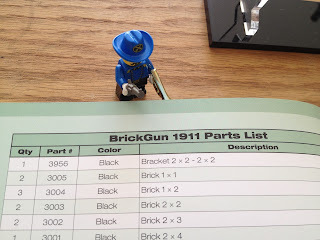 If you are looking for even more cool BrickGun instructions, Jeff Boen runs the website, BrickGun.com, where he sells kits that include all the pieces necessary to build the models, featured in The BrickGun Book. Additionally, his website offers fantastic wallpapers, a disc of all of his BrickGun building instructions (including some not found in The BrickGun Book), and some free instructions. I found these free instructions to be very cool, as they mainly show how to build add-ons, such as laser sights, flashlights, and scopes for the BrickGun models!